Completely updated, the seventh edition provides engineers with an in–depth look at the key concepts in the field. 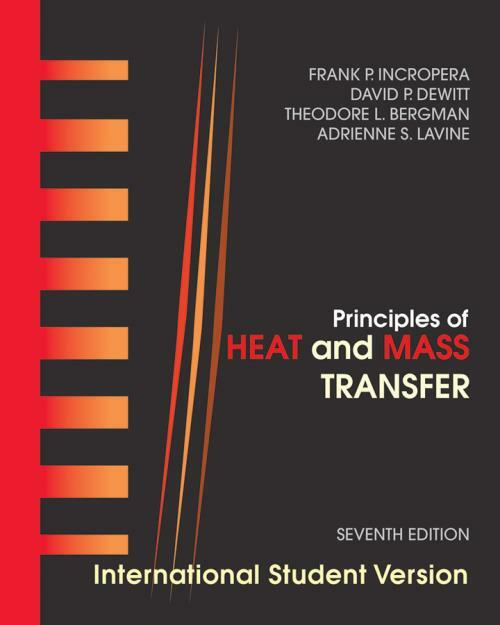 It incorporates new discussions on emerging areas of heat transfer, discussing technologies that are related to nanotechnology, biomedical engineering and alternative energy. The example problems are also updated to better show how to apply the material. And as engineers follow the rigorous and systematic problem–solving methodology, they ll gain an appreciation for the richness and beauty of the discipline.